This chocolate cake is over the top chocolatey! 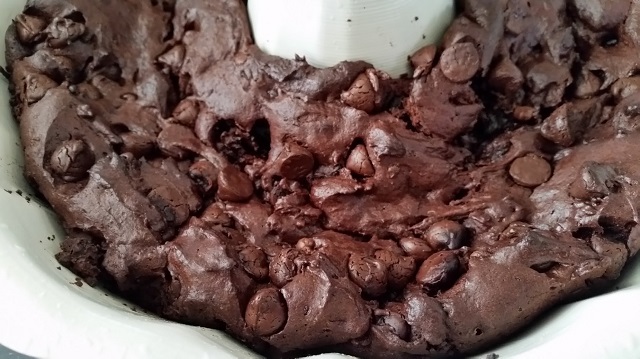 Hold on to your socks because this will take care of all of your chocolate cravings! Happy Mother’s Day to all of you fabulous Mama’s and Grandma’s!! No worries, you can do it, you can use a cake mix, it’s a super easy recipe that you are going to love! Now for all of my baker friends, don’t get upset that we are using a cake mix here, it’s okay, you will love it when you take your first bite, trust me, you will. 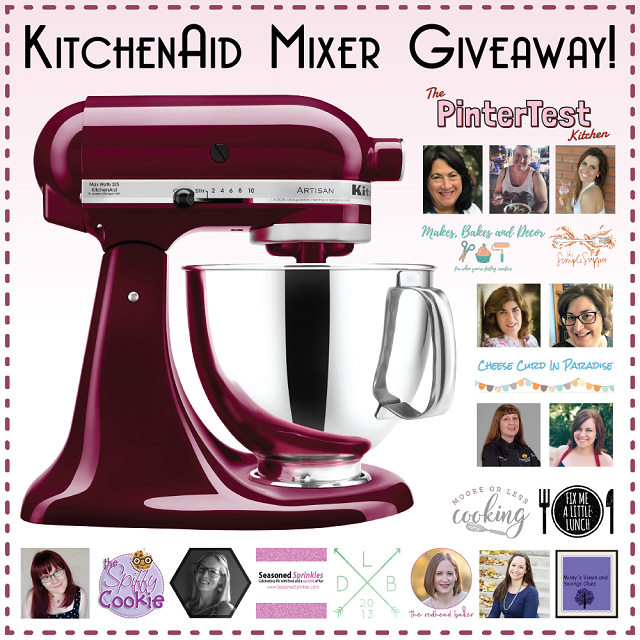 Plus, you can make it in the KitchenAid that you can win if you scroll down and enter my Rafflecopter! This cake is for the all of the chocolate lovers! Seriously, I don’t think that you can ever have too much chocolate. You let me know what you think! I baked this cake for my daughters birthday because she loves chocolate, everything chocolate and because she said that she loves chocolate cake. In a large bowl, mix together the cake and pudding mixes, sour cream, oil, beaten eggs, and water. Cool cake thoroughly in pan at least an hour and a half before inverting onto a plate If desired, dust the cake with powdered sugar or cover in chocolate frosting, or a chocolate glaze. Looks like the perfect chocolate cake for someone who loves chocolate! 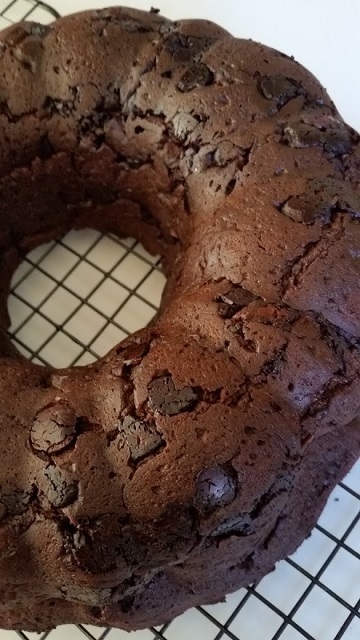 Now, sprinkle with powdered sugar or make a chocolate frosting for that gorgeous cake! In a large bowl, mix together the cake and pudding mixes, sour cream, oil, beaten eggs, and water. 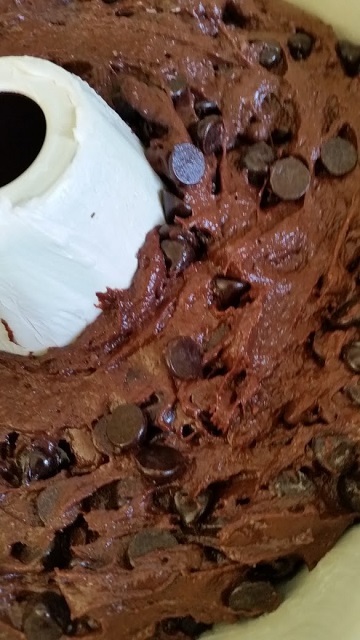 Stir in the chocolate chips and pour batter into a well greased 12 cup bundt pan. Bake for 50 to 55 minutes, or until top is springy to the touch and a wooden toothpick inserted comes out clean. Cool cake thoroughly in pan at least an hour and a half before inverting onto a plate If desired, dust the cake with powdered sugar or cover in chocolate frosting. 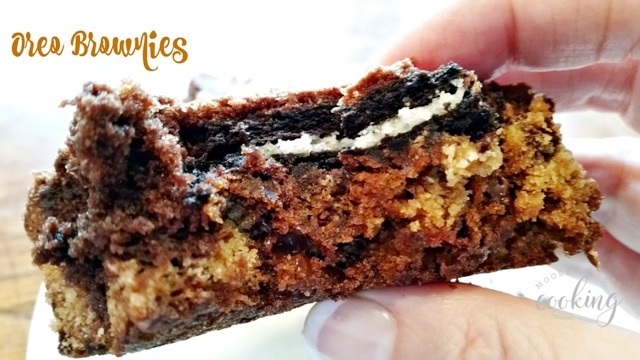 Oreo Brownies~ Cookie dough and Oreos covered in a brownie batter! 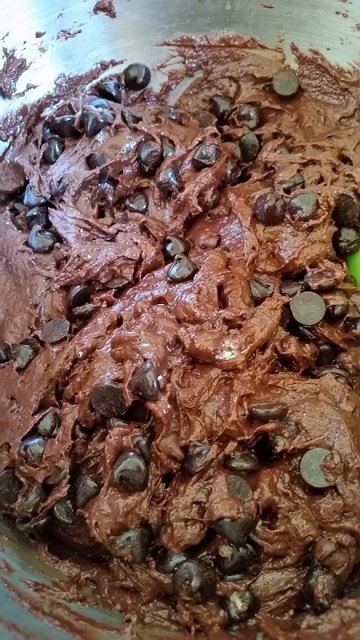 Maybe these brownies should be called naughty brownies, but whatever you call them, I call them delicious! 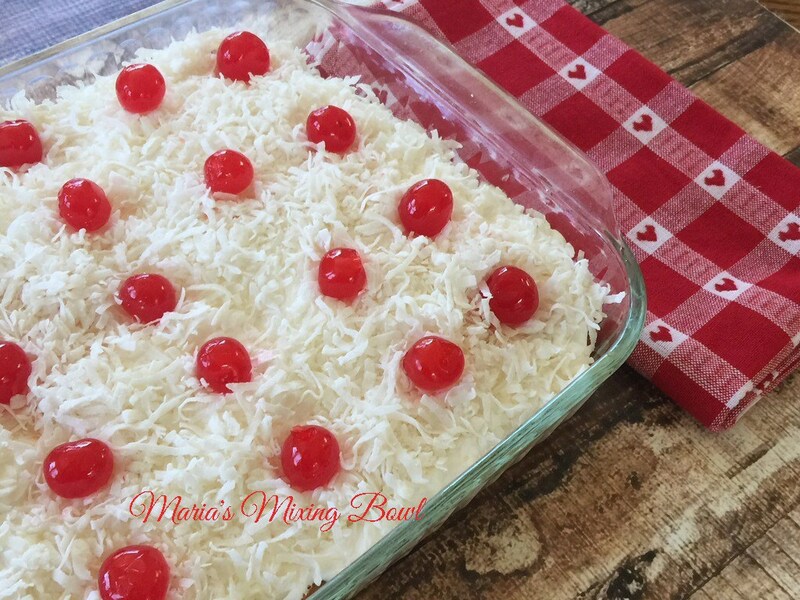 This No Bake Italian Cake is like heaven in your mouth!!! It’s just that good!!! And you don’t even have to turn on the oven to make it!! Easy and Delicious is always the best!!! You’re going to want to share this one!! 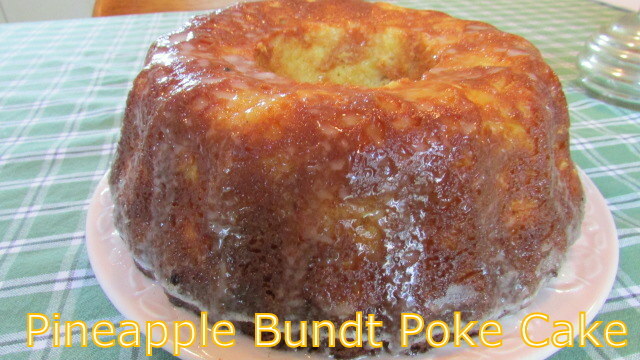 Poke cakes are so delicious and fun to make. 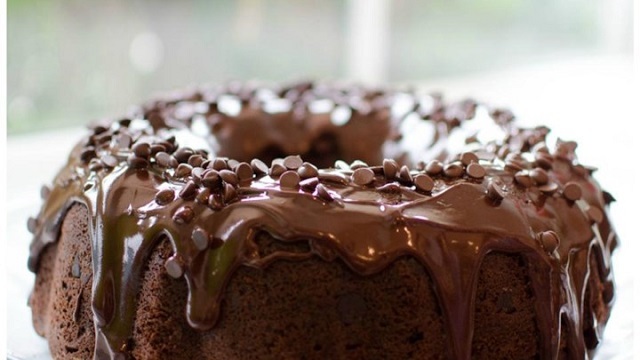 If you love moist delicious cakes, then this cake is for you. Now on to the contest!! The giveaway will end on May 26, 2018, at 11:59 PM. Any entries made after this point will be invalid. A winner will be drawn at random and emailed within 72 hours to claim the prize. If no response is received, a new winner will be drawn. You must complete the mandatory Instagram follows as listed below in order to enter. You can complete additional Instagram follows as listed below to gain more entries. You may only enter with one Instagram account. If you enter using multiple accounts, all entries will be invalid. 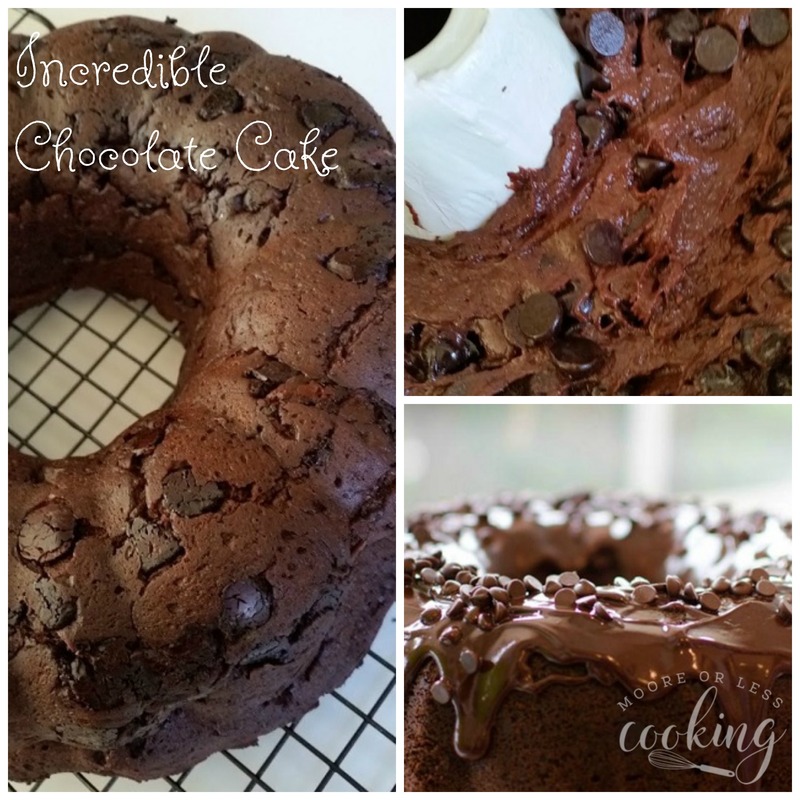 Let us know if you try This Incredible Chocolate Cake recipe! Use #Mooreorlesscooking.com when you share your photos on social media. Tell us what you think! Check out my newest Incredible Chocolate Cake Video! Bake for 50 to 55 minutes, or until the top of the cake is springy to the touch and a wooden toothpick inserted comes out clean. Cool the cake thoroughly in pan for at least an hour and a half before inverting onto a plate If desired, dust the cake with powdered sugar or cover in chocolate frosting. pan was cleaned out. I aghast. I did not think this would be replayed again. I have to now say I will stick with you and your recipes. This mind blowing since I find them easy to make, with clear instructions and then I get so many compliments. So keep up the good work Nettie, it is my pleasure to keep checking your web site. Have a great day. thank you for the opportunity on this generous raffle… I love all your recipes and can’t wait to try some of my new followers recipes. Thanks for introducing me to these new bloggers ! That cake looks delicious! I wish I could enter, but I don’t have instagram. This cake sounds amazing and so easy. This is a great Chocolate Cake, yummy! Hope you are having a great week and thanks so much for sharing with us at Full Plate Thursday and come back to see us real soon!